Pulsar believes that the best way for you to select and purchase a Pulsar watch is at one of our authorised retail stores. Only in these stores can you be sure to find the best advice, the latest Pulsar collection, and be sure that your new watch bracelet will be sized and fitted correctly, free of charge. If you prefer to purchase your Pulsar watch through the Internet, please look for an authorised Pulsar retailer, which also has its own retail premises that you can visit as well as a website. 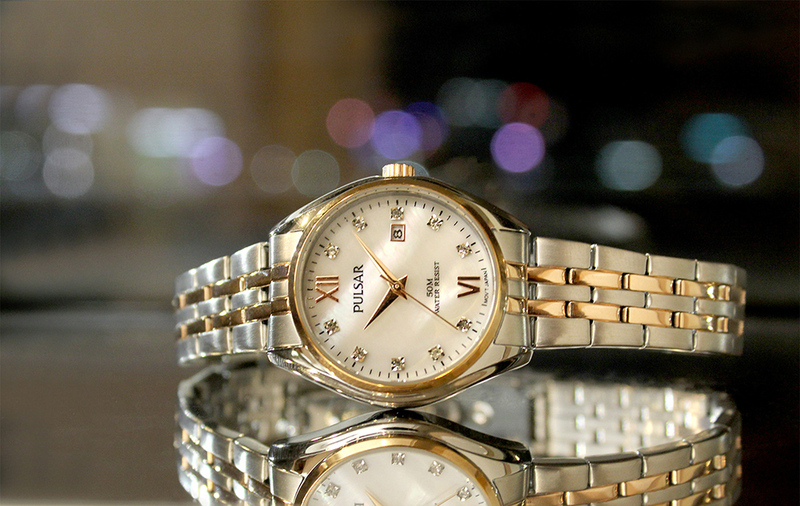 Some non-authorised sites, especially those that trade only on the Internet without real 'bricks and mortar' stores, sell counterfeit or second-hand watches, or watches that have been tampered with, and are, therefore, not eligible for care under the Pulsar warranty. Others do not offer the original Pulsar warranty, nor do they offer any after-sales service of any kind. Please note that Pulsar cannot be held responsible for any claim or promise made on any external sites, many of which claim, falsely, to be in some way 'official'. Pulsar takes great care to ensure that our Pulsar authorised dealers offer you the very best products and service. Please take advantage of the peace of mind that only they can offer to Pulsar purchasers.